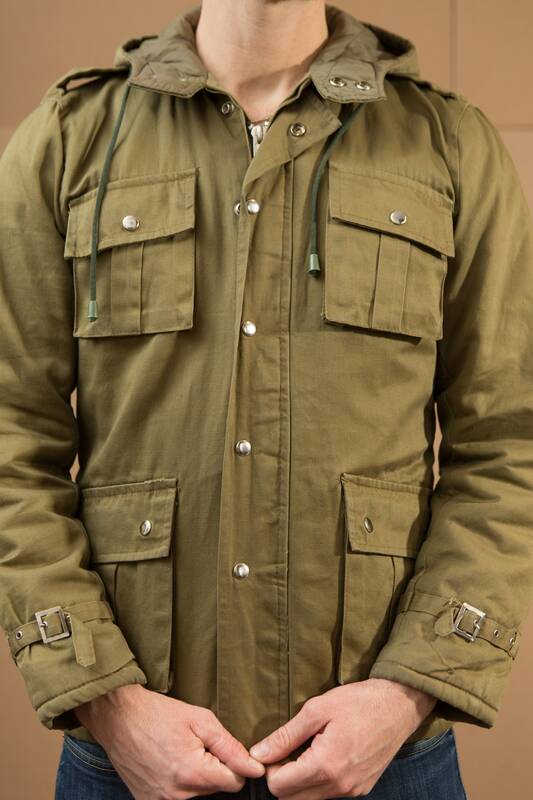 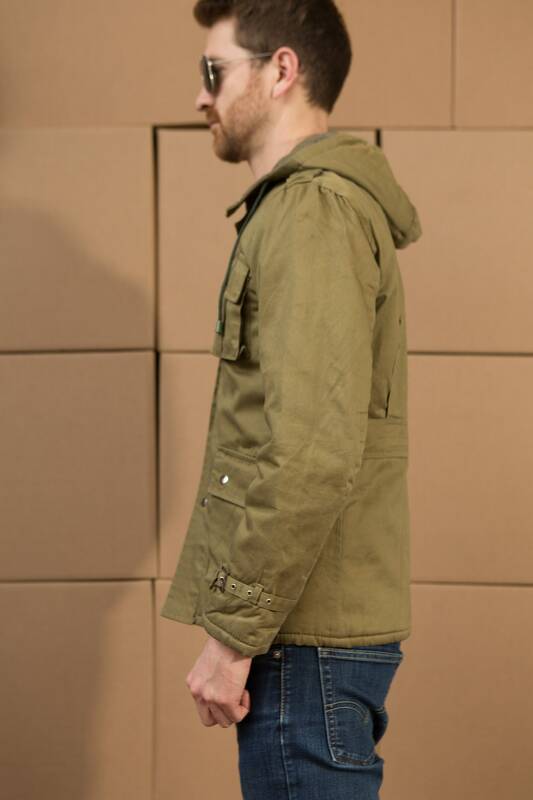 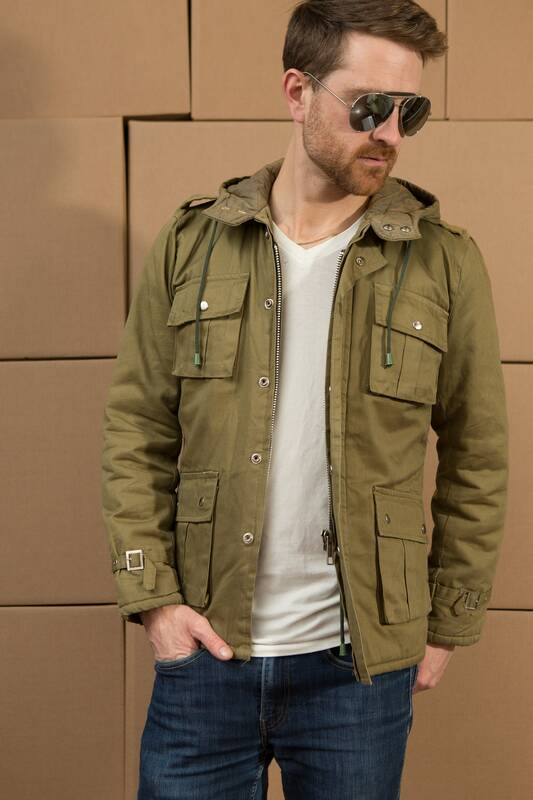 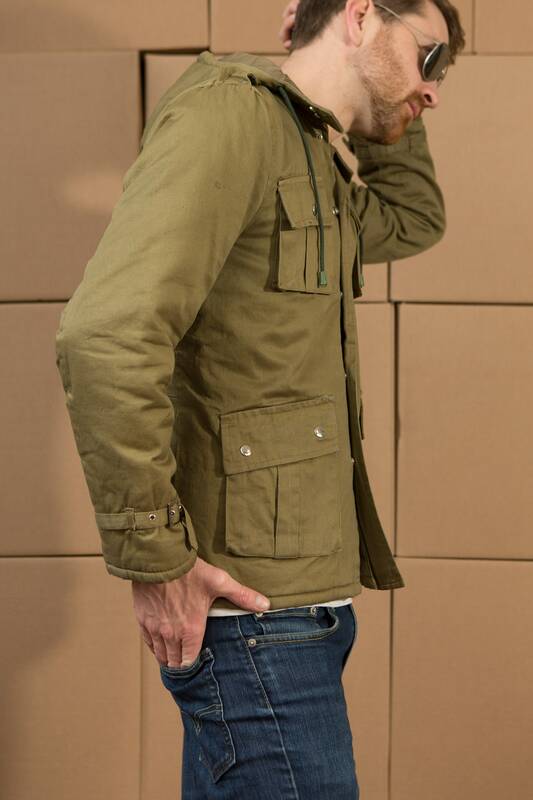 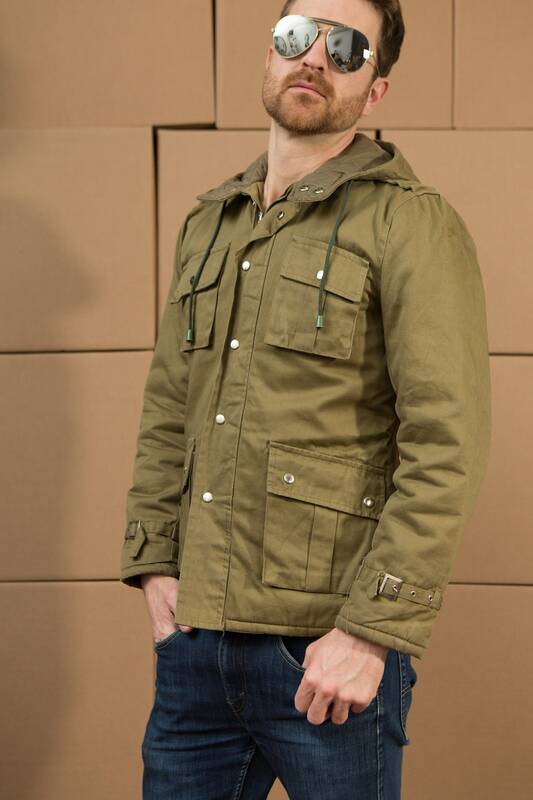 This is a classic military style army green colored jacket with chest and waist snap button pockets. 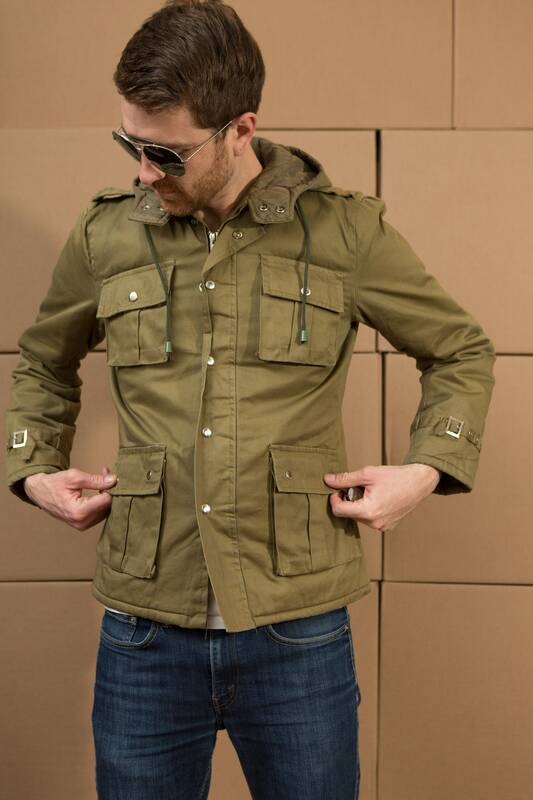 Zipper is metal and there is also a button flap. 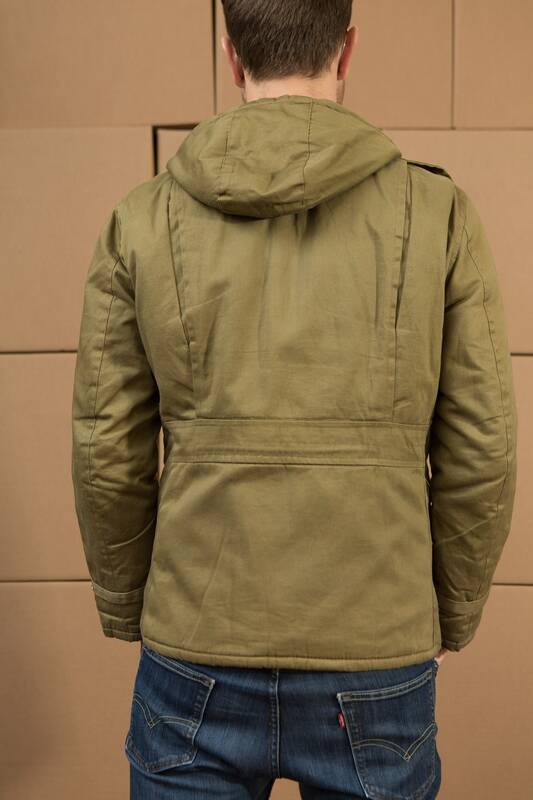 Draw string for hood. 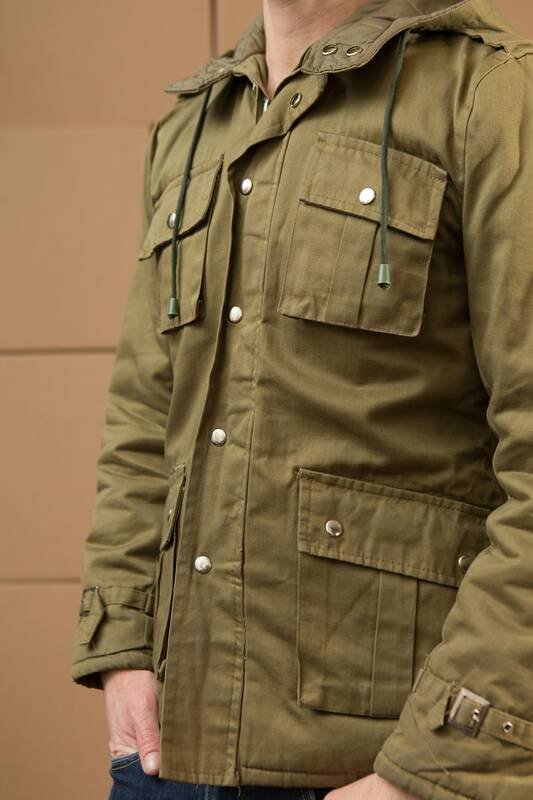 Built well and durable. 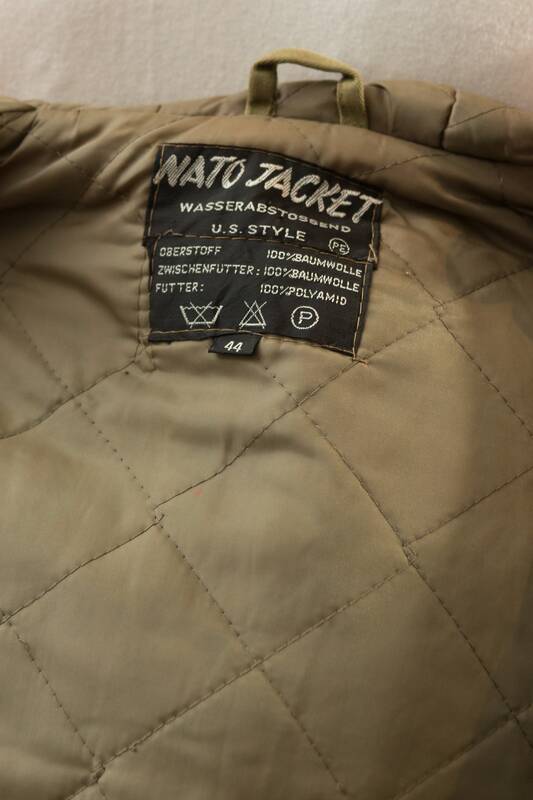 Size: small (tag reads 44). 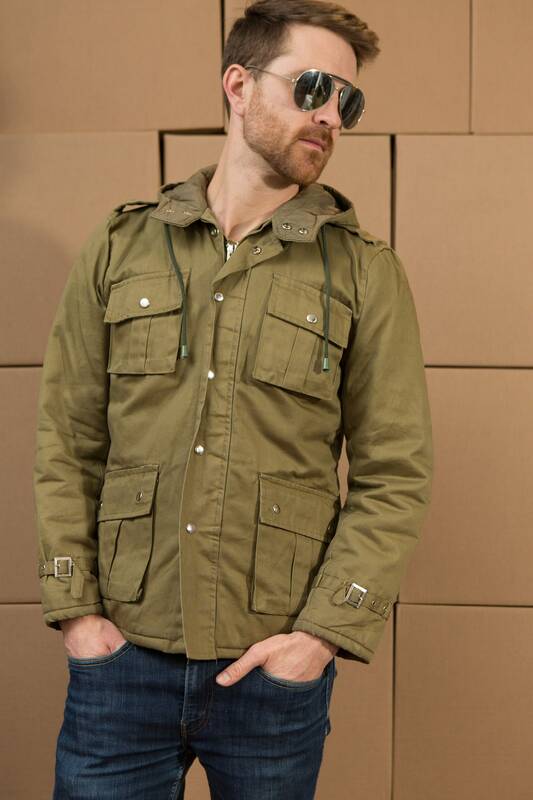 Fits Like: mens small, bordering on medium (model wears medium).